When in Burgundy in March for Grands Jour, it was happier times. The winemakers had come off of the very good and excellent vintages of 2014 and 2015–something generally unheard of in this exalted, yet climatically marginal regional that seems so disinclined to producing wine each year. 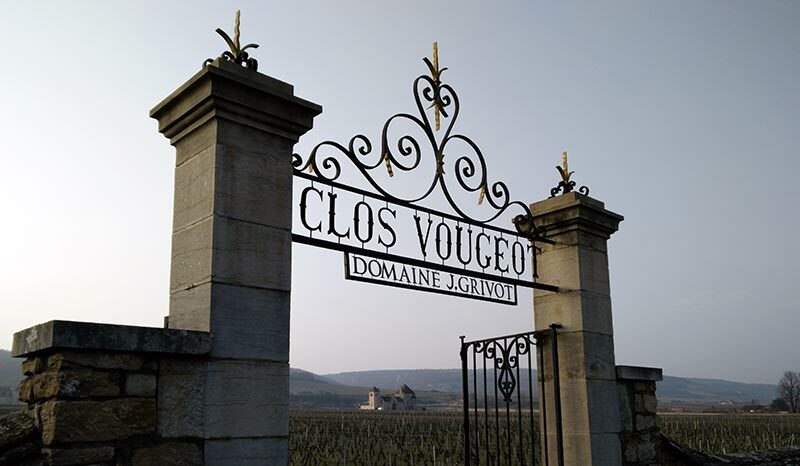 The good spirits didn’t last long as things started going sideways shortly after and Burgundy in 2016 became the typical, difficult Burgundy. To get to the point from the beginning, there are going to be very few wines from 2016, probably half for many cellars and some even up to 65% or more. A great deal of this was brought on by a late frost in April that was historic in its magnitude and severity. There was a great deal of devastation in Chablis but some producers fared better as they’re prepared for such things with frost alarms. Others were no however and this was further compounded by hail in late May that swept through Mâconnais in the far south and then other parts of the northern regions. While the Burgundian winemakers are accustomed to such things, it was a depressing start to the year. Much was salvaged throughout the summer however and while hot it wasn’t ridiculously so with temperatures about 10% above normal (whatever that is now), although the lack of rain caused a good deal of vine stress. This was generally relieved in mid-September with a decent hit of rain. In the end, it seems to have been a good year despite the harsh extremes of heat, cold, and a bit of drought. Naturally, we’ll only start knowing in the coming year as to how it will be shaping up but it seems this burst of late summer heat made ripening a non-issue and the grapes have turned out quite splendid. Due to the reduced harvest though, some domaines have joined forces, purely out of necessity as they don’t have enough grapes to fill one barrel. One such example was seen with Domaines Romanée Conti, Leflaive, and Comtes Lafon joining to make a Montrachet 2016 which will be two, 225L barrels or 600 bottles which is 1/10th of the normal production. Naturally, there are those who might say, “Pfft, whatever, the Burgundy wines are so expensive, they can absorb this without a problem.” That may be true for a few producers or wines, but as I found out, it is much more the exception and while we all may know the famous, wallet-splitting wines of Burgundy, there are many others–the vast majority–that aren’t and these producers are going to have a rough go this year. At least, what wines they’ll have in the end, should turn out delicious. It’s been a tough one alright! From a consumers point of view, I’m immensely jealous of anyone who has a cellar large enough to buy good quantities of wine en primeur and sit on it, more so than ever. If I had space I’d be emptying the bank, buying chunks of 2015 in January and forgetting about Burgundy for a year or two whilst they sort their production quantities out again. However, what will happen is that in a few years I’ll be seeing 2015 Burgundies in specialist shops for even more $$ than currently, which is already very, very high. First World Problems, I know. Actually, yeah, I should go stock up on some Chablis Premiere Cru. I love it and they got thoroughly thrashed this year. The prices are pretty reasonable for those wines overall, although shortly I’m sure they won’t be. Good plan – 2014 was a pretty good year for Chablis as well. I’m completely out of fridge space so will just have to get drinking.